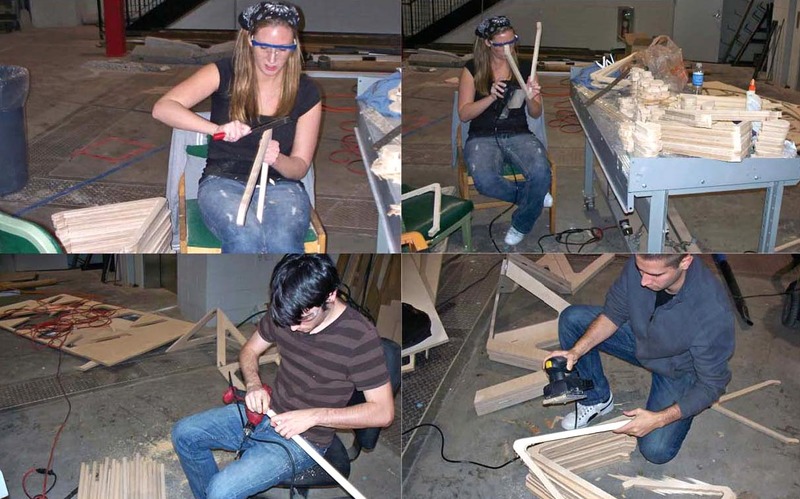 Fabrication-with-simulation projects were developed as part of the building technology course at NJIT. 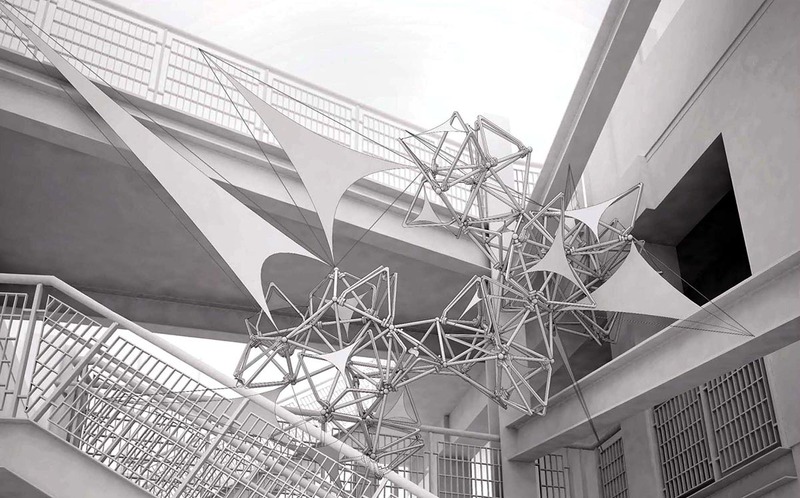 Parametric design and fabrication reach their full potential when combined with physically based behavior. 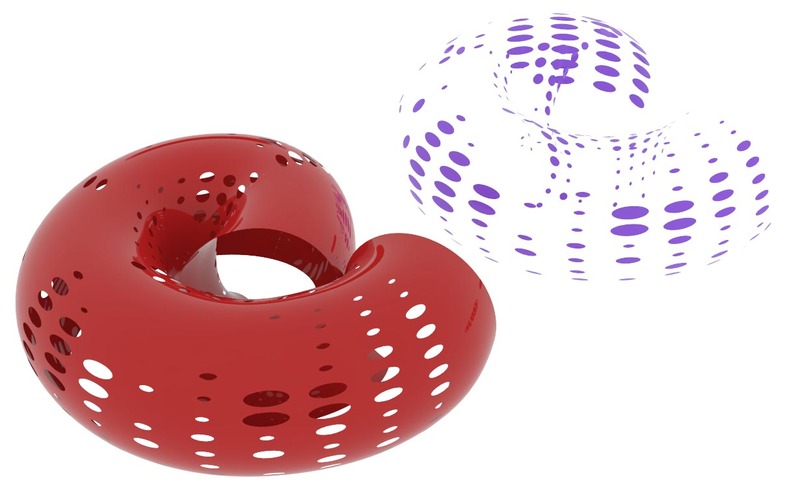 With this combination, parametric definitions address not only expressions of inert geometries but also, and perhaps primarily, material properties and physical behavior. 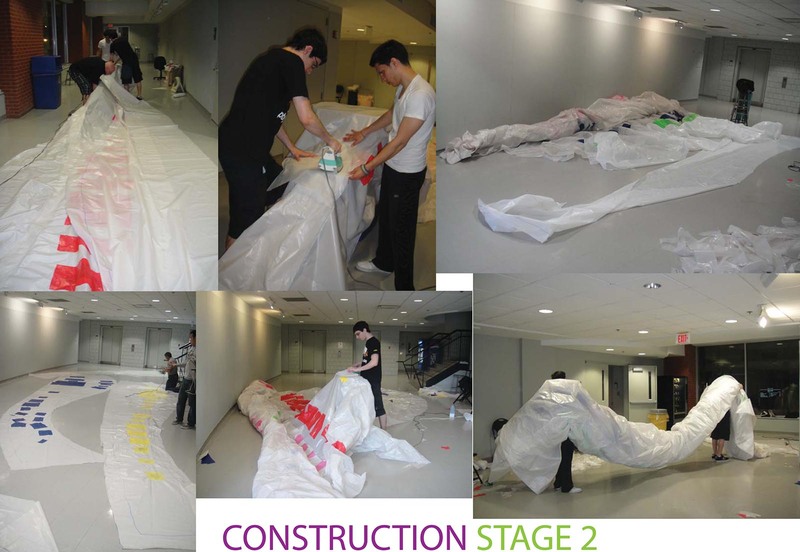 In the projects below, students experimented with computational form emergence derived through performance simulations. 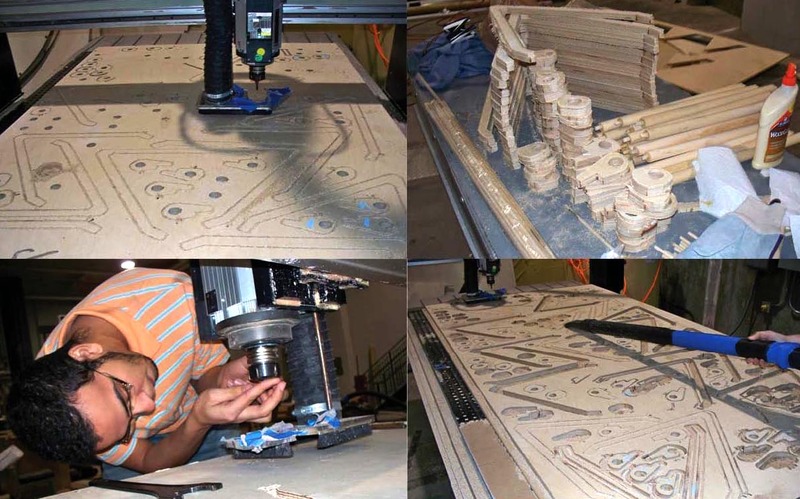 They explored material behavior with computer analysis and later fabricated their designs using CNC tools. 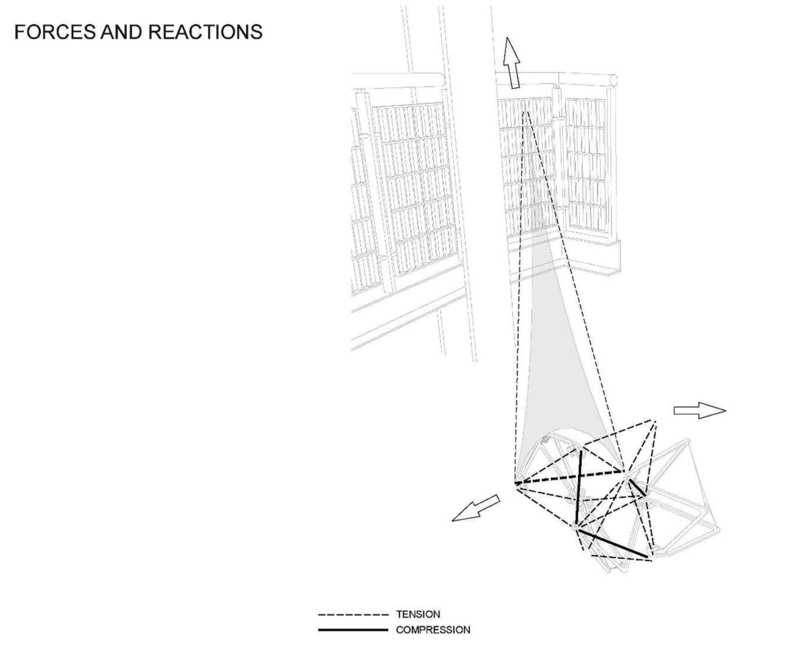 This combination of simulating-designing-making mirrors the traditional “learning by doing” approach. 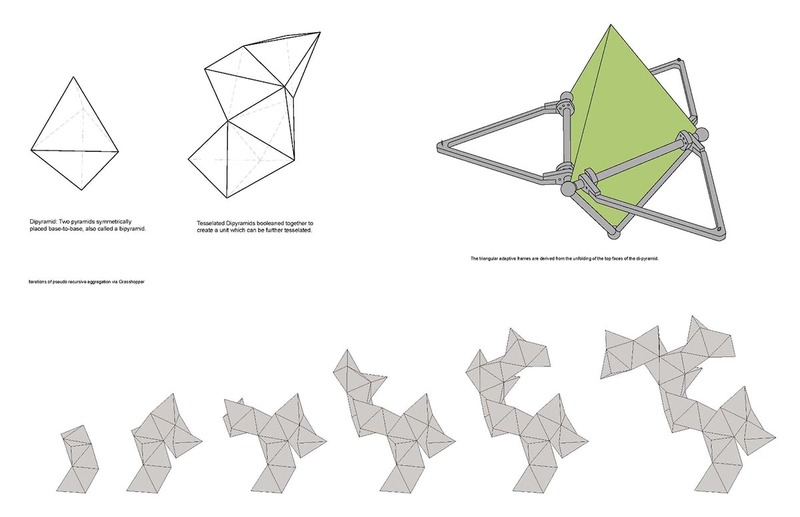 Pneumatic structure developed through form-find simulation utilizing Kangaroo,, a plugin for Grasshopper. 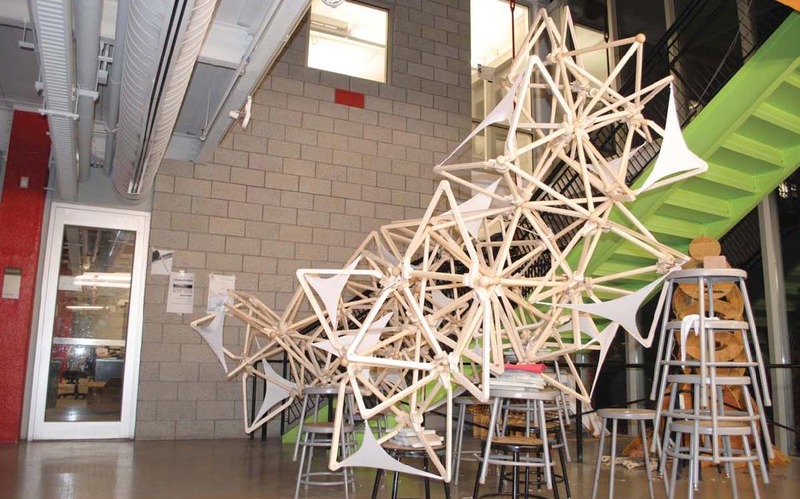 Project developed by Gayatri Desai, Edward Perez, and Joseph Ribaudo, NJIT. 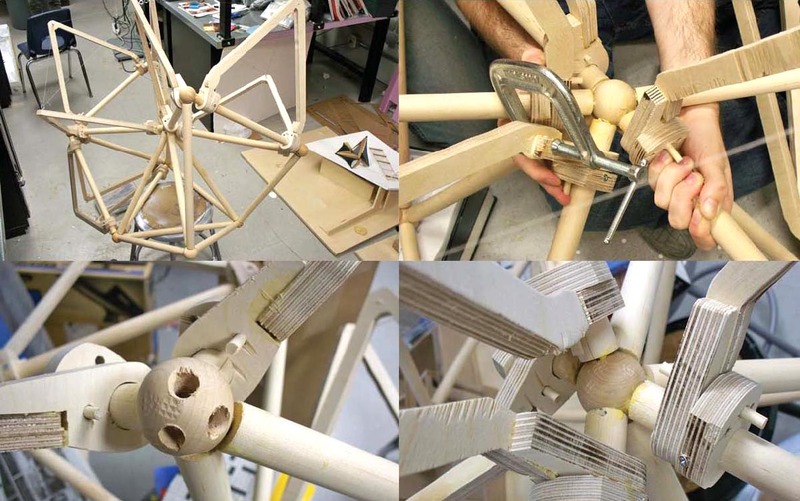 Students started their project by developing initial three-dimensional geometry in Rhino software and fine-tuning its form, considering what a pneumatic structure would most likely look like. 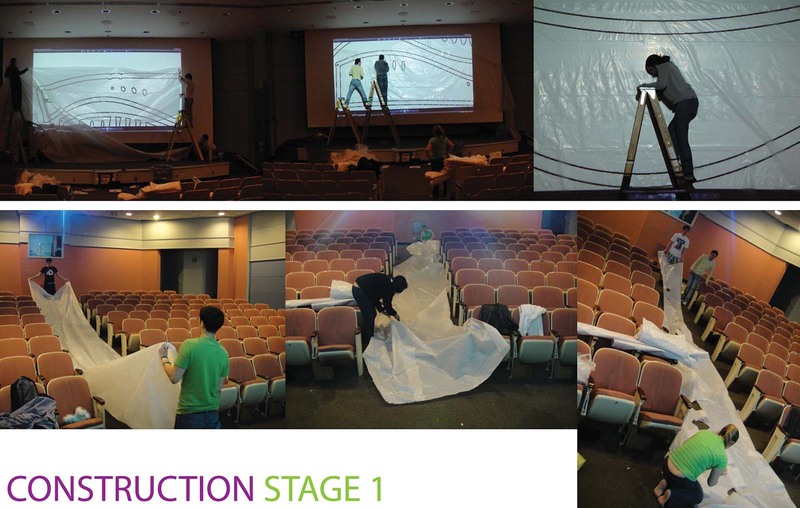 Then they used the Kangaroo plug-in for Rhino and Grasshopper to simulate the physical behavior of initial designs. During simulations, geometries with individual mesh cells were adaptively refined until an optimized form was achieved. 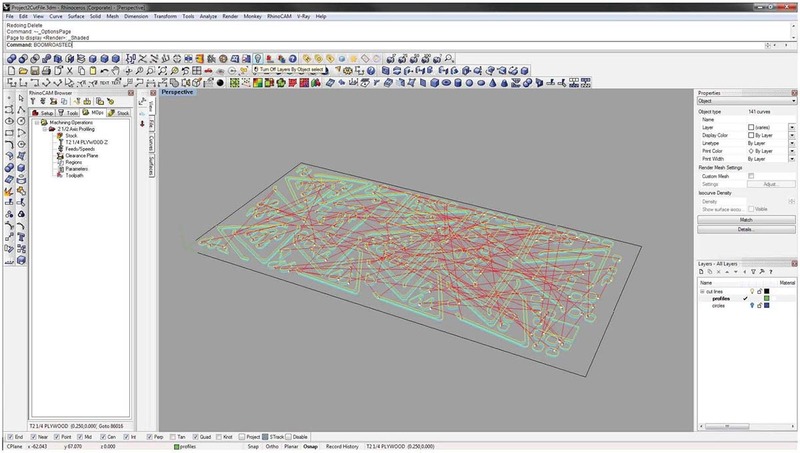 Since the original Rhino mesh was an inert geometry (poly mesh) without any parametric controls, the resulting Kangaroo simulation was not as effective from a design point of view as compared to a parametrically controlled mesh that could be interactively changed during simulation. 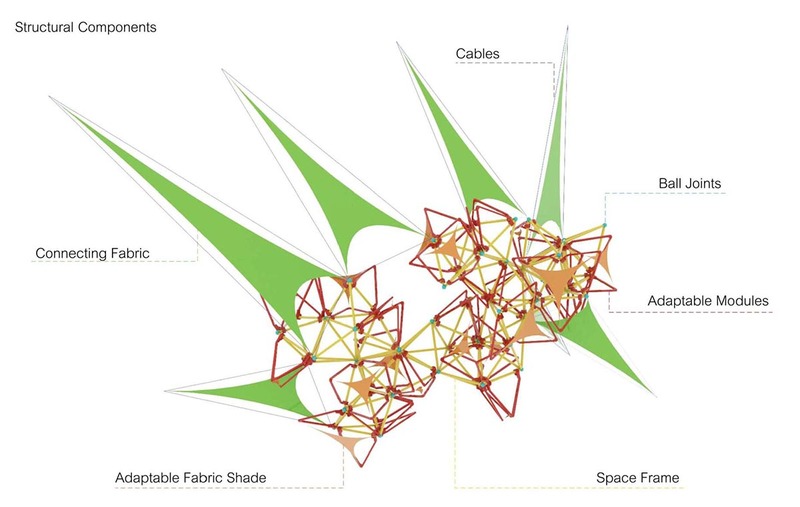 For this reason, students moved from the Rhino inert mesh approach to Grasshopper’s parametric surface modeling environment and were able to explore a wide range of design alternatives. 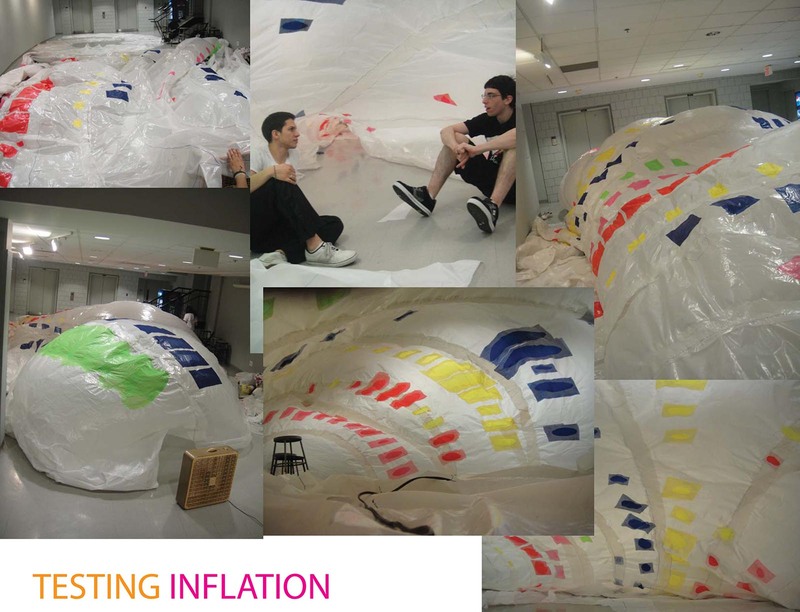 In addition to interactive manipulation of the three-dimensional model, students were also able to control the levels of pressure and spring values to analyze the amount of inflation and impact on design. Cut-and-unroll scenarios to find the most effective sections to optimize material usage and minimize waste. As part of the mock-up explorations, students investigated several cut-and-unroll scenarios to find the most effective (tileable) sections to optimize material usage and minimize waste. 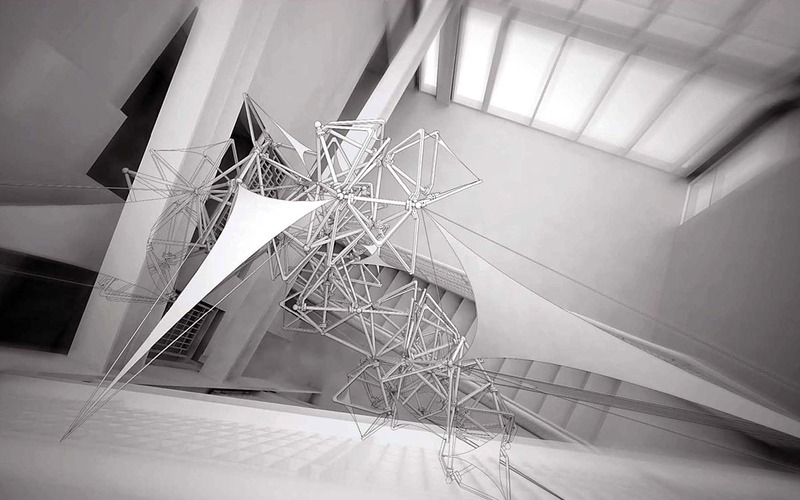 The material economy became an important feature for the optimized final design. Available software did not allow for the direct material optimization that would help to find the zero-waste solution. 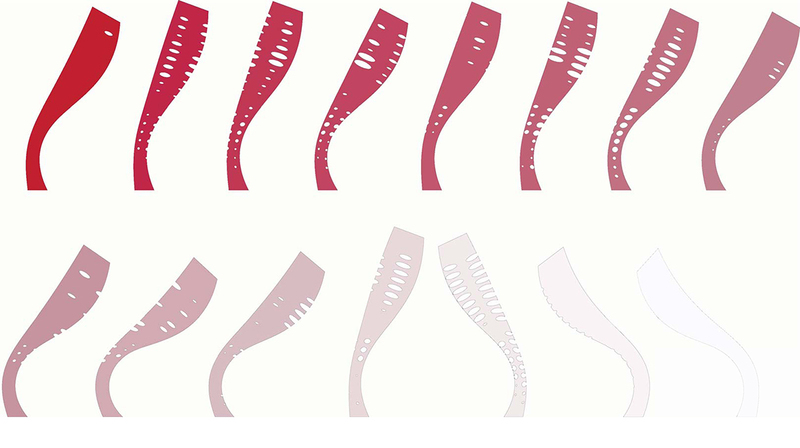 For this reason, students had to study it in a recursive, indirect way by developing alternative unrolled sections and comparing them side-by-side to derive the most efficient approach. 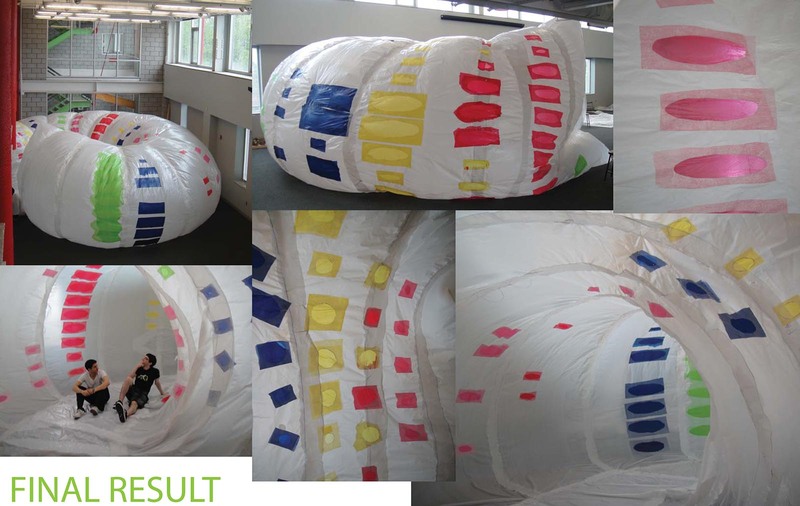 While a mock-up as a partial full-size prototype can be easily achieved with kinetic assembly, pneumatic (air-supported) designs need a critical mass of the “building” to have both structural integrity and air tightness. 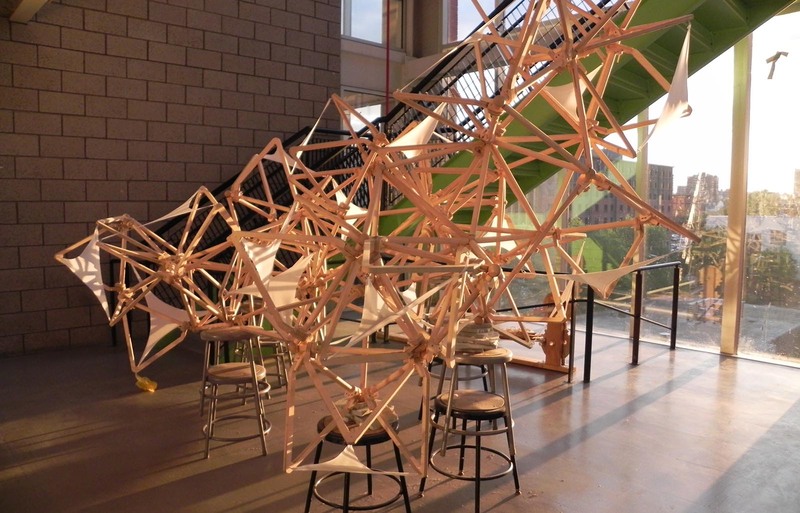 The “doughnut” in the figure above is a pneumatic structure developed by students as a free-standing pavilion able to accommodate human activities in an unrestricted and comfortable way. The motivation behind the centrally organized form of a doughnut was to create a space that could be explored and also would allow for congregation. Ahmed Emara, Liam Morrow, James Piccone, Ian Siegel, and Jordan Tait, NJIT. 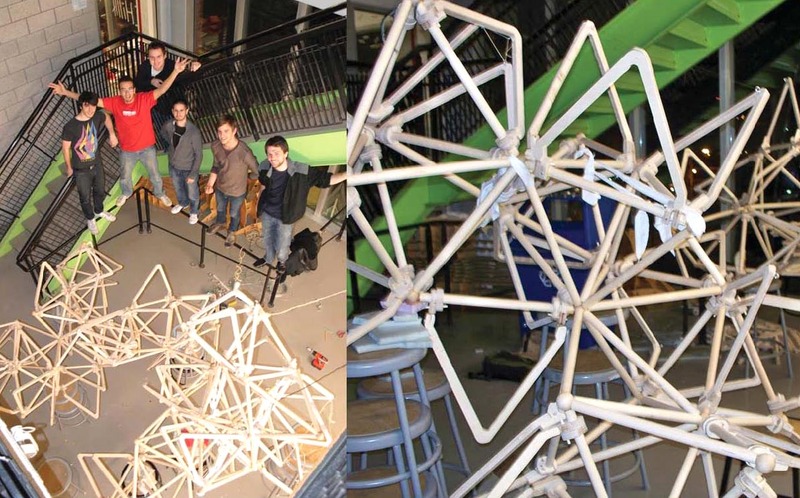 The student team investigated an integration of tensile structures with space frames to develop a hybrid adaptive structural system. 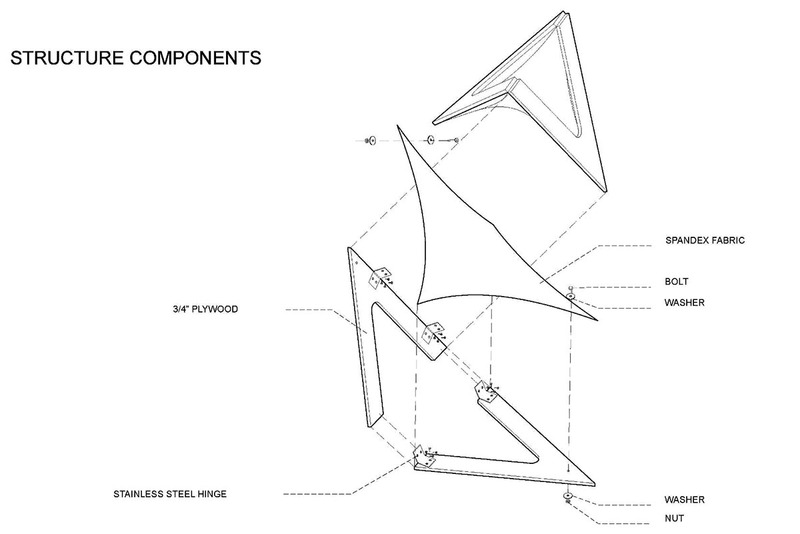 Initial studies looked into the component design that could be scaled up to a larger structure. The development of individual assembly components (scenario 1). 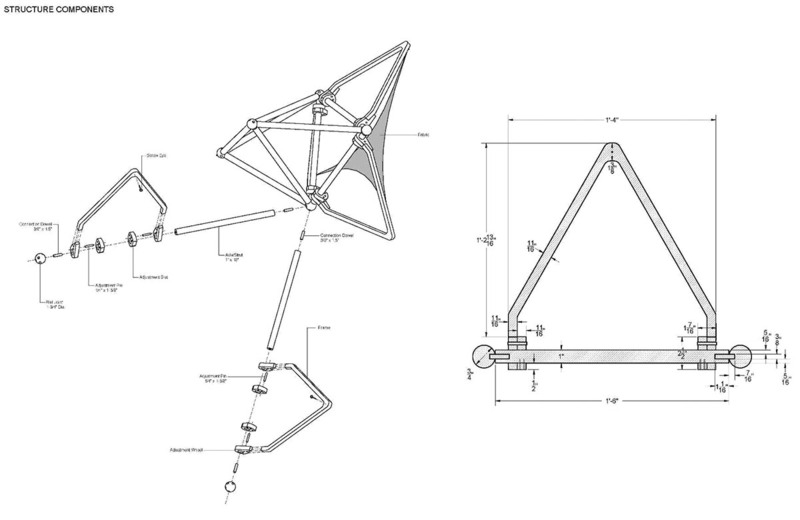 Component studies for the adaptable spaceframe design (types1, 2 and 3). 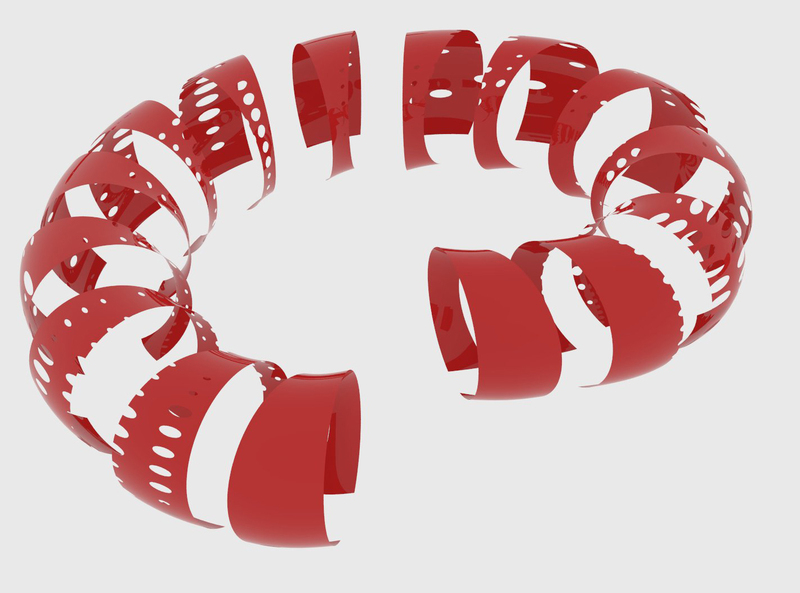 Testing cloth-tensile behavior with a kangaroo component in Grasshopper. See time 3:45 (m:s) for type-3 cloth simulation. 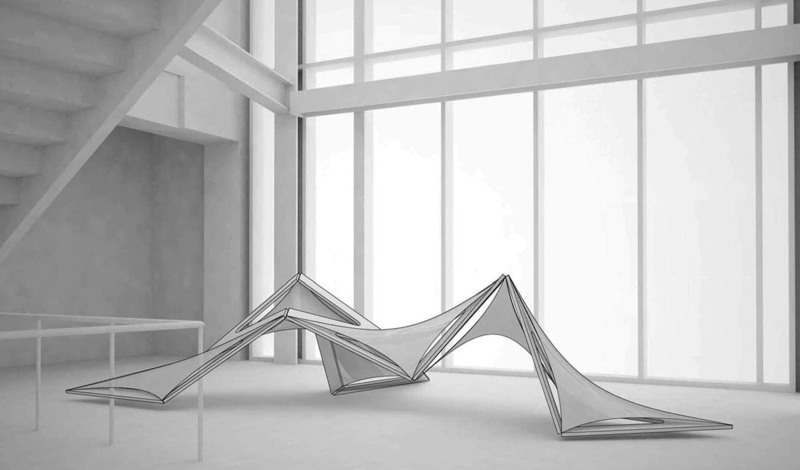 Integration of tensile cloth element (simulated in the video above) with adaptive spaceframe components. The aggregation of the assembly components.